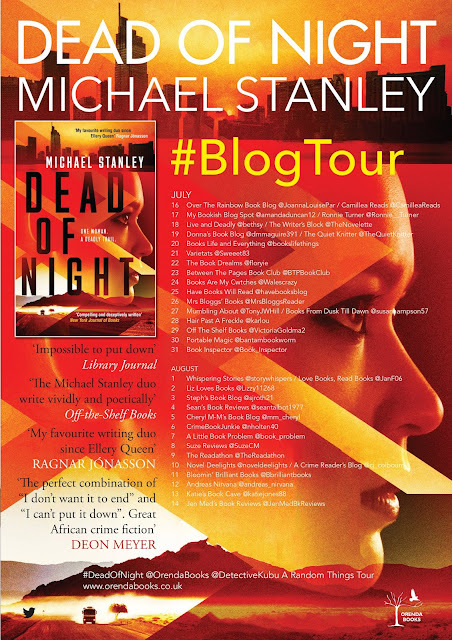 I am delighted to be on the blog tour for Dead of Night by Michael Stanley. 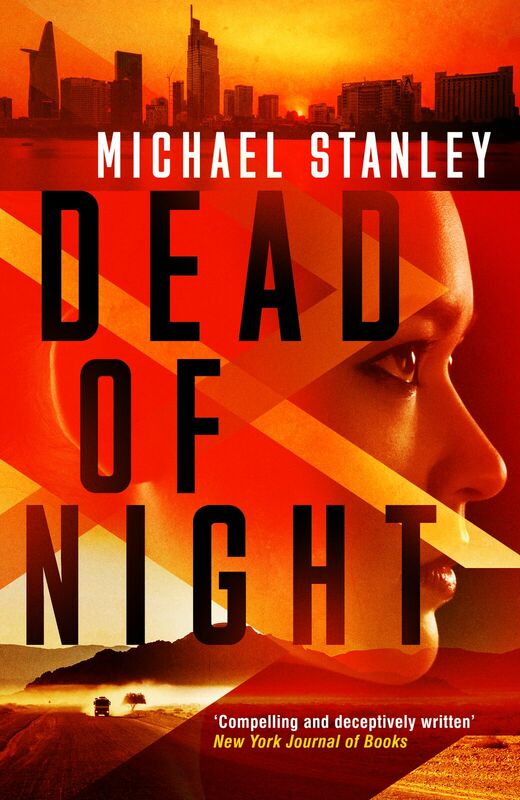 Michael Stanley is being published in paperback on 31 August 2018, but is available in ebook NOW! There's nothing more satisfying than picking up a book, diving in and then coming up for air three hours later. Not ideal though, when it's around 26 degrees outside (and possibly even hotter indoors) and you're too engrossed to move, even though you're gasping for a drink (water, I should add). Dead of Night should come with a health warning - 'so addictive, it could lead to dehydration'. Seriously though, I love Michael Stanley's Sunshine Noir. As many know, I'm a huge fan of the Detective Kubu series, which is also published by Orenda Books. Well, Dead of Night is just as brilliant, possibly even better (though I would struggle to choose between them so I won't, and instead I encourage everyone to read the Kubu series as well). Dead of Night is set in three locations - mainly South Africa but also a little Vietnam and USA. It felt more brutal, graphic and harder hitting than the Detective Kubu series, but with the same amazing writing, vivid descriptions and insight into the African (and also Vietnamese, in this case) culture. While reading the African scenes, I felt like I was on safari, exploring the jungle and watching rhinos, elephants and more in their natural setting. 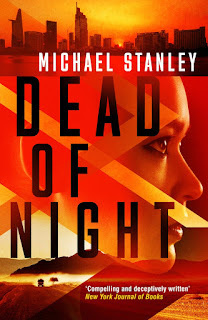 Dead of Night is a fast-paced thriller, filled with action and conflict, focusing on the politics, cultural clashes and violence associated with the rhino trade. I was totally gripped by the feisty and determined female protagonist Crystal Nguyen, an undercover journalist investigating corruption and bribery. I was also touched emotionally by so many of her scenes, just as shocked as she was by the cruelty she witnessed and the violence she experienced. Yet again, as with many of the Orenda Books thrillers, I came away with important environmental messages in my head and having extended my knowledge of world politics, history and culture. I really do hope this is the start of a series as I'm now desperate for more! Brothers in Blood by Amer Anwar - cover reveal! !